We're coming up on a holiday weekend - a happy Canada Day and a happy 4th of July to any and all getting their festive on - so we probably won't be back until Wednesday. Unless something fabulous happens. 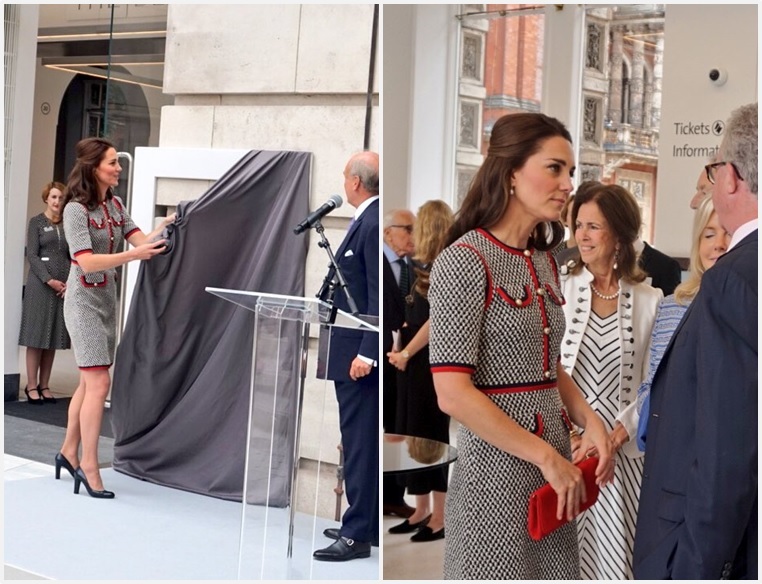 The Duchess of Cambridge officially opened the Victoria and Albert Museum's new Exhibition Road Quarter yesterday. You can officially add this to the very short list of royal engagements I'd actually be interested in undertaking, because the V&A is one of my favorite museums in the world. (The WHOLE WIDE WORLD.) You can sign me up for this Gucci dress while you're at it. A little dash of mod, a spot of retro cute done right, that's what we've got here. Well played. 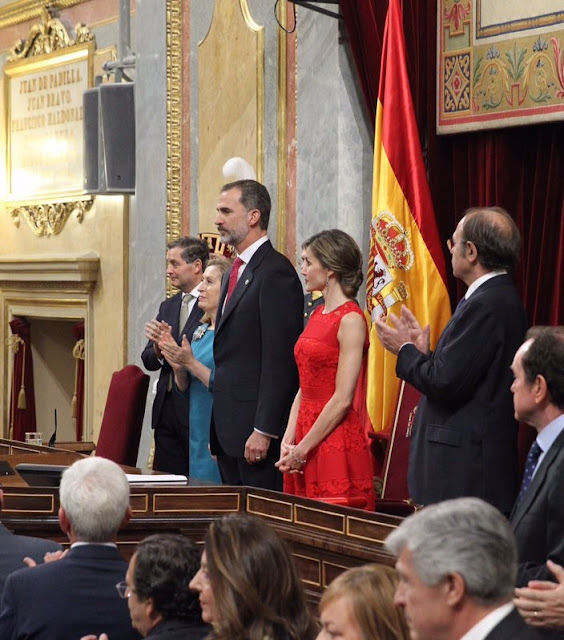 The King and Queen of Spain marked the 40th legislative elections anniversary at the Spanish parliament earlier this week. Fact: Red is Letizia's color. Other fact: Carolina Herrera is taking Letizia from hit to hit these days. Another fact: 2+2=4. Nothing but greatness can come from combining these two things. It's just MATH. She upped her jewels appropriately for the occasion too, with diamond and ruby earrings and a diamond and ruby bracelet that hasn't been seen in years. YUM. And, AND - I'll throw this one in here too because it is my sworn duty to applaud increased use of serious gems - she also just busted out the diamond bracelets from the joyas de pasar again. Letizia finding saucy modern ways to use these historic pieces delights me to no end. DELIGHTS ME, I SAY. Attending the presentation of the Princess of Girona Foundation Awards Thursday night. Pairing a jumpsuit with a load of diamonds is the most solid strategy yet to get me to love one of these things. Clever.